Because I live in New England, our temperatures in the winter hit the negatives and single digits during the day, then factor in the wind chill and you’ll want to run screaming for the South. Needless to say, it gets pretty darn cold here, so trips to the barn can be numbing. Insert the Under Armour HeatGear Authentic Tights. I picked these up in the SmartPak attic for 50% off during their dot sale and wasn’t really looking for a pair of winter leggings. 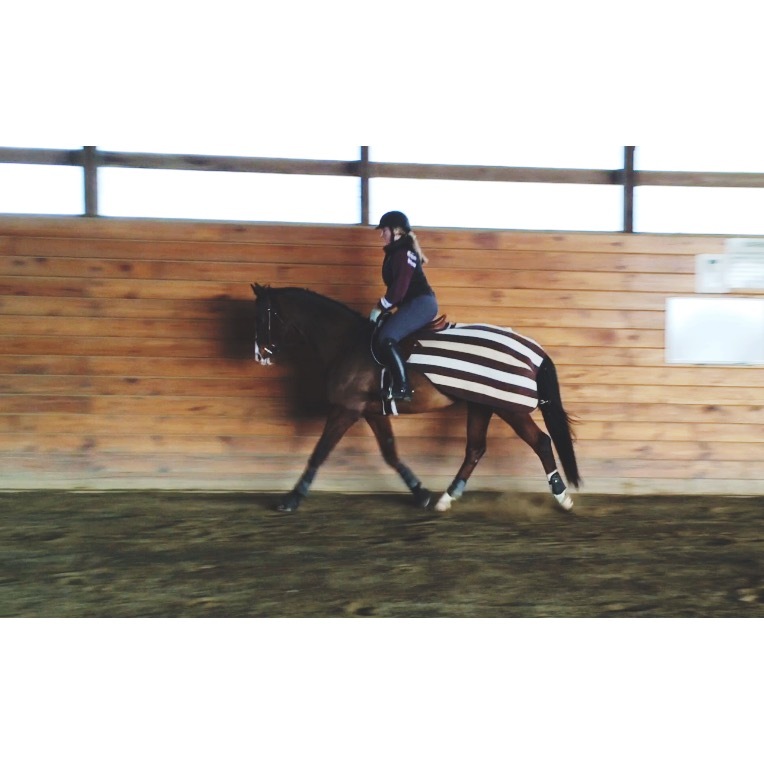 I typically wear a pair of normal leggings under my breeches in the cold weather because I despise the thick winter riding breeches and that had always kept me a little warmer. I snagged these off the rack, tried them on, and instantly knew I was buying them from the fit and the fabric. I have worn them almost every day since (don’t worry, I do a lot of laundry). These are advertised as from the Under Armour’s HeatGear line which, if you look on the Under Armour website, is designed for “temperatures of 75 degrees Fahrenheit and above”. But, if you go to SmartPak’s website, they are described as “a necessity during those cold winter months to keep you warm in the saddle and out in the barn”. Both websites have reviews from customers commenting on how warm they are. So what exactly are they? They are amazing and magical leggings, that is what they are. I swear that they keep me warm in the freezing temperatures at the barn, but I have also worn them to the gym and not ended up all sweaty and gross. My conclusion was that they are the perfect year-round legging. I wore these to the barn underneath my TS when it was a -20 degree windchill and my legs were toasty warm. I also endured a 16 hour IHSA show in the middle of February and made it through without my legs falling off. I cannot believe how warm these keep me. On the alternative, I wore these to the gym a few times and didn’t feel like I was too hot or that my legs were sweaty at all. I told you, they’re magic. The fit of these leggings is impeccable. They are compression tights, so they have enough support to hide any lumps and bumps that an equestrian would want hidden and fit like a second-skin. They also have a nice amount of stretch as to not limit the wearer’s range of motion. 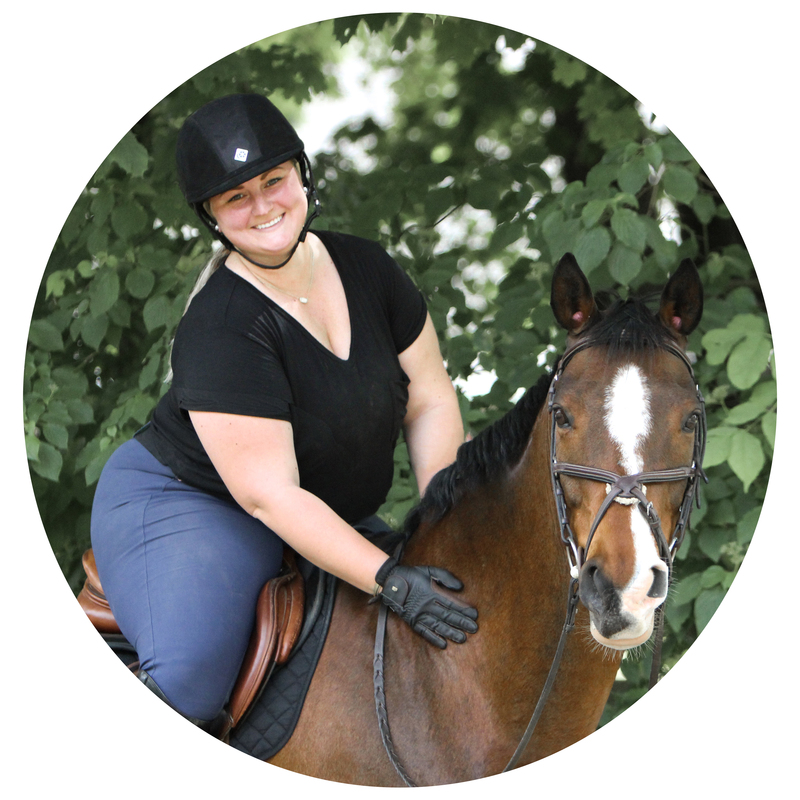 The technical fabric is incredibly easy to pull breeches on top of without bunching up and isn’t bulky enough to affect the fit of breeches or tall boots. A wide waist band eliminates any digging in and has a hidden pocket in the back that is convenient for the gym. If you look really, really close you can see the seam line. I do have a few complaints with these leggings, the first being the length. I think I picked up a size too big for me (but they were on sale and I didn’t care), so I find these to be about two inches too long and I have heard the same from others as well. I simply fold the bottoms up a bit and they are fine. The other problem I have is the seams. There are seams in both the inside and outside of the leggings. I haven’t had any issues with any of the seams rubbing or chafing, but the outside seams leave an line running down your leg that is visible through your breeches. For schooling this doesn’t really bother me, but for showing purposes it is quite unattractive. I did try to line up the seams with those on my TS, but had no success. If there was only an inner seam, these would be perfect. 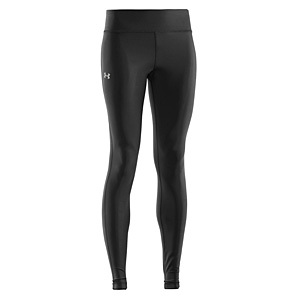 Overall, I would (and have) suggest the Under Armour HeatGear Authentic Tights to anyone who rides in the cold and needs a warm baselayer or someone who wants something for compression and support under their breeches. Aside from the seam lines, these leggings are amazing. TOA Blog Hop 11: A Rose. Sounds like I need these for winter riding! I have the ColdGear compression tights and I love them. Now I want to try the HeatGear too. I wear the UA ColdGear long sleeve shirts as a layering piece in the winter. Love Under Armour! Nice! Nothing quite like a good pair of leggings! I SWEAR by all things UnderAmour for the winter. I wear the pants and shirt as my baselayer and it’s amazing.